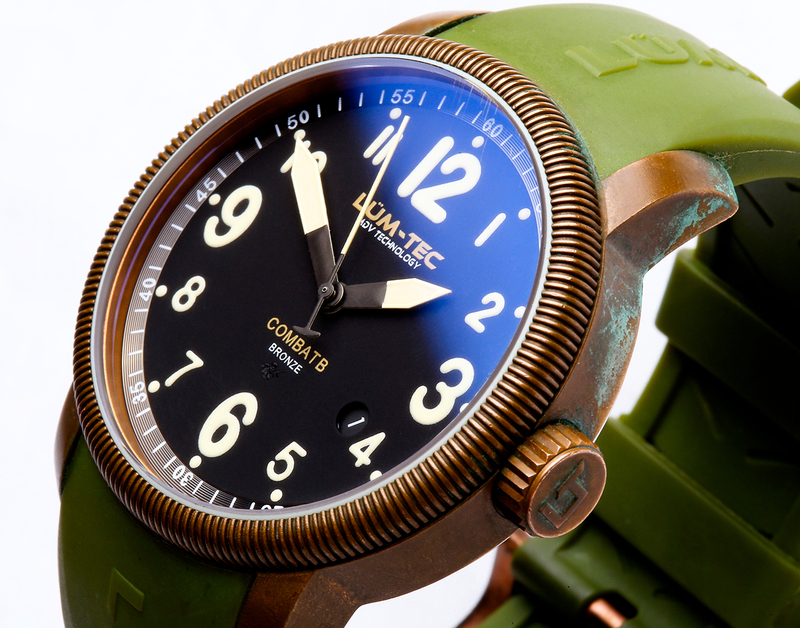 The Lum-Tec Combat B18 bronze watch is made out of solid CuSn8 bronze and is powered by a Miyota 9015 automatic movement. The watch features clear 12 hour dial with an hour, minute and second hand. The date feature is located at the 4 o'clock as on most of Lum-Tec's Combat B's and the crown is also made out of the same bronze material. 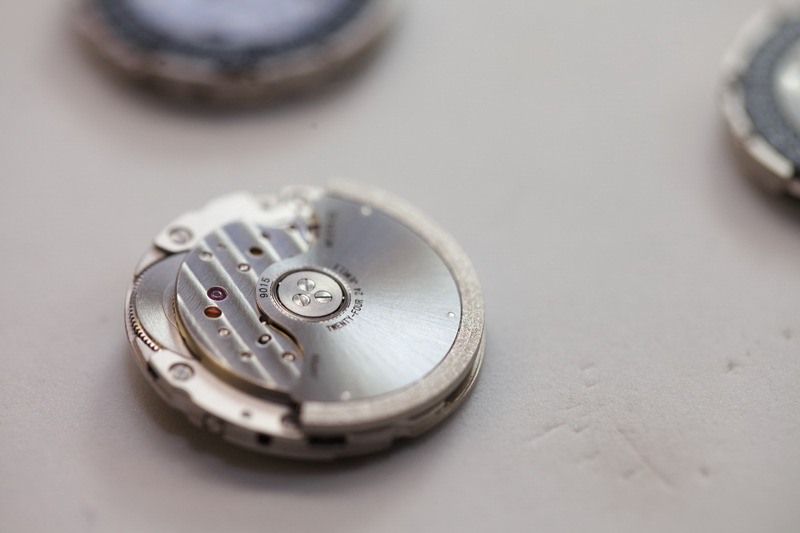 The caseback is stainless steel and the watch is rated for 300m water resistance. I bought this watch when it first came out from Lum-Tec in early February of 2014 for retail price and have worn it throughout various training events, EDC for months on end as well as on vacation several times. A bronze watch is like a journey of discovery. Bronze will patina on its own in the real world. Patina is, in this context, the color and texture change of the case through exposure to various atmospheric elements. You can do your own research on this topic as I will not bore you with the science of it. The short and sweet of a bronze watch is that after wearing it for a period of time (especially in hotter climates) your particular bronze watch will be unique in its patina. It will not resemble any other bronze watch, nor another of its own make. 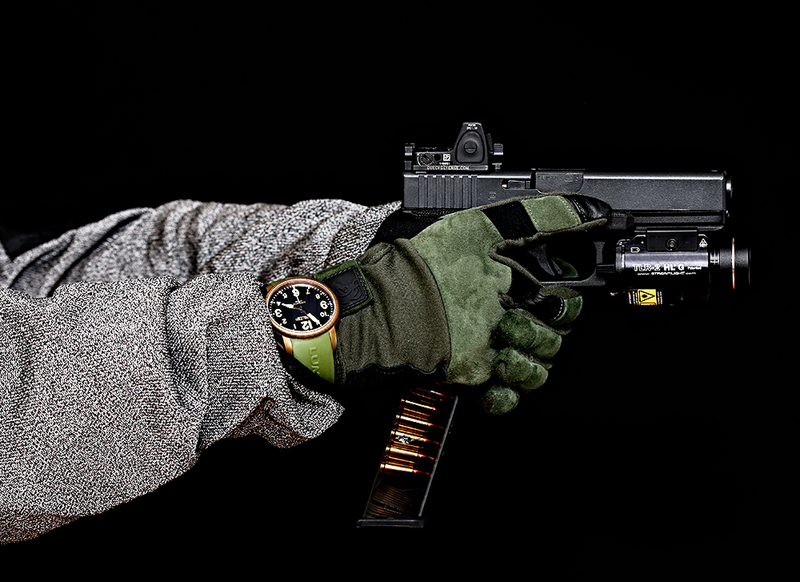 I have seen and held many bronze watches before and the Combat B18 was that one watch that I could not seem to get my mind off of. 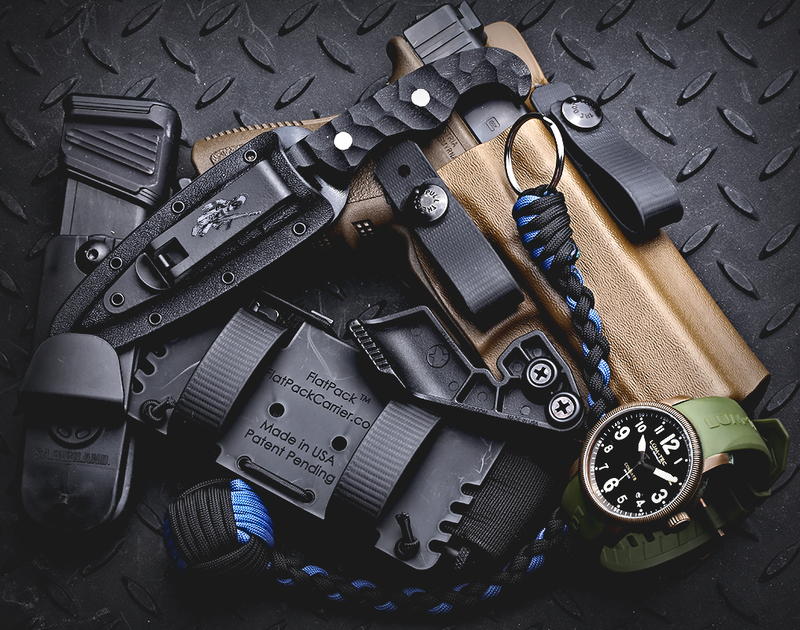 The Combat B18 comes with several different straps. It comes with NATO bands and it came with a black rubber strap which I really liked. Not being a fan of the NATO straps I ended up wearing the shaped black rubber band in the beginning until Lum-Tec released their green shaped rubber band which I got specifically to contrast against the bronze of the Combat B18. The markers are bold with numerals being very prominently displayed. The watch feels like it has a 44-45mm footprint but is actually 43mm. I prefer larger watches, ranging in the 44-47mm range, but the Combat B18 fits right into that even though it is smaller. 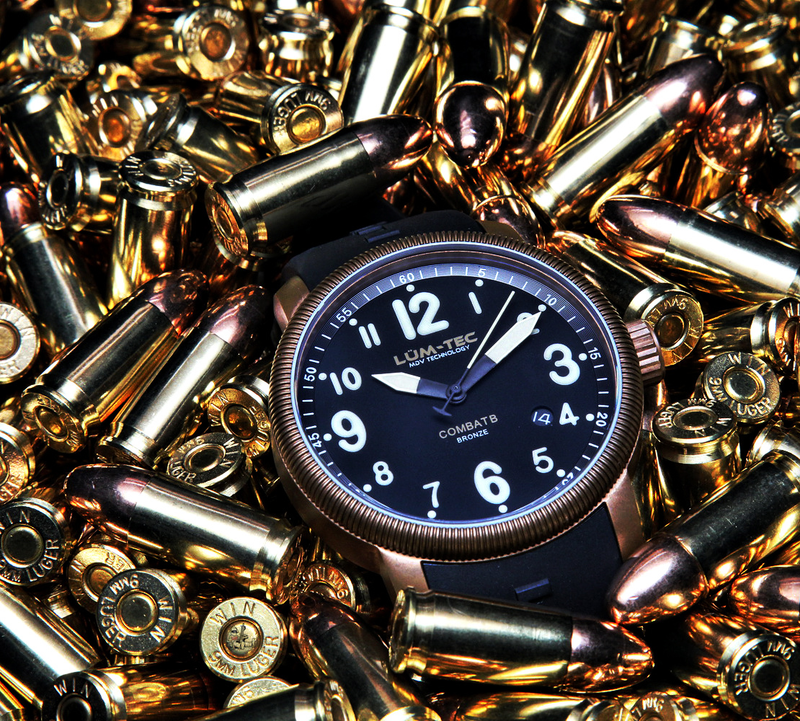 Along with the standard COMBAT B logo inherent to all the Combat B watches, there is a small "bronze" line of text to show that this particular dial was made specifically for the Combat B18 and not mass produced like some other watch brands would do to cut corners. Lum-Tec is known for their attention to detail and this is one of the details which popped out to me. The dial is, otherwise, very eye pleasing and easy to read. Second tick marks in 5 second increments were added in order to aid in timing if needed. As I stated above I swapped over to the green shaped/curved strap when I got it and never looked back. The contrast is really eye-catching and the rubber is of a premium nature, so it wears well and does not bother the skin. The Combat B18 wore well and never skipped a beat. I wore during numerous training events and classes. 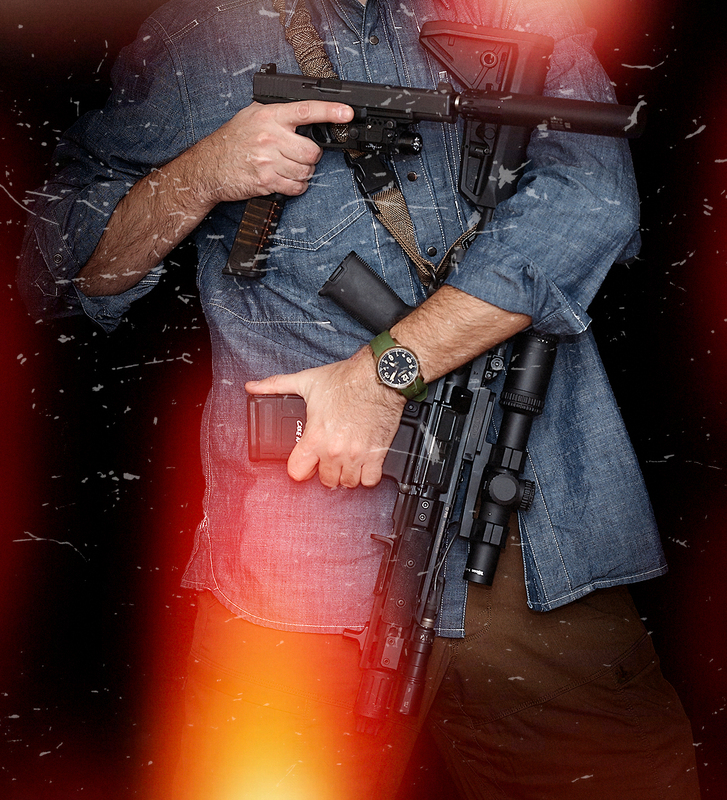 Everything from pistol and rifle to combatives. The watch just worked, never lost time or needed servicing. The crown never came loose, even though it was bumped a few times and the caseback never once came loose. 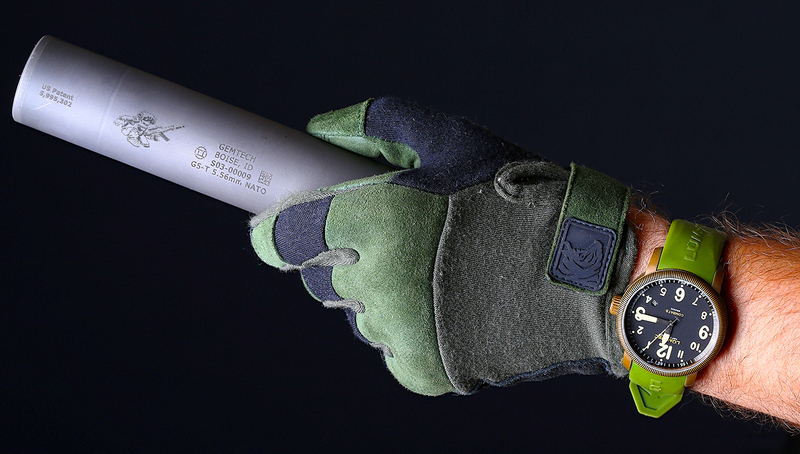 The Combat B18's case saw a good bit of action through training and otherwise being on my wrist at the right time. The case stood up to anything which was thrown at it (literally) as did the glass. The sapphire, anti-reflective coated, glass is top notch and has zero distortion. 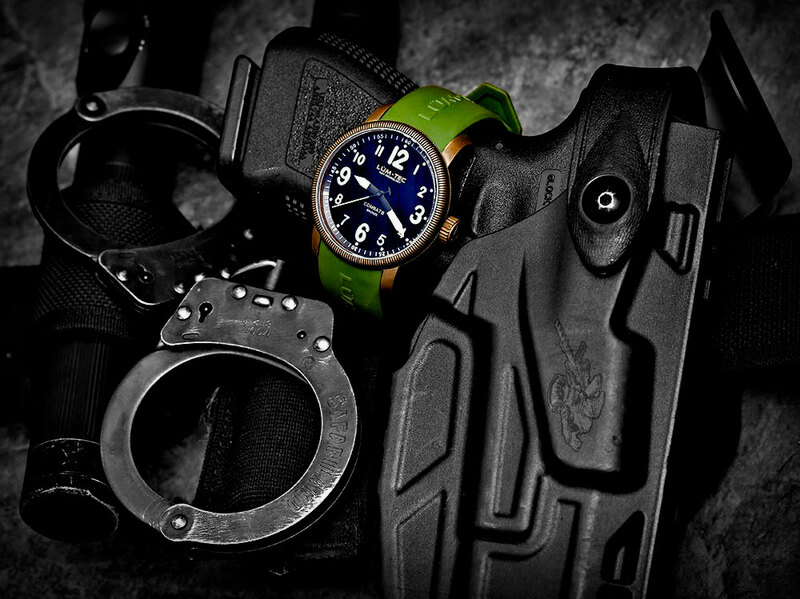 Depending on the type of watch you are looking to wear, the Combat B18 may be able to find a spot in your collection. It really stands out and is eye-catching, especially with the green rubber band, but even without it, you get a unique looking wrist piece which most will naturally gravitate to visually. 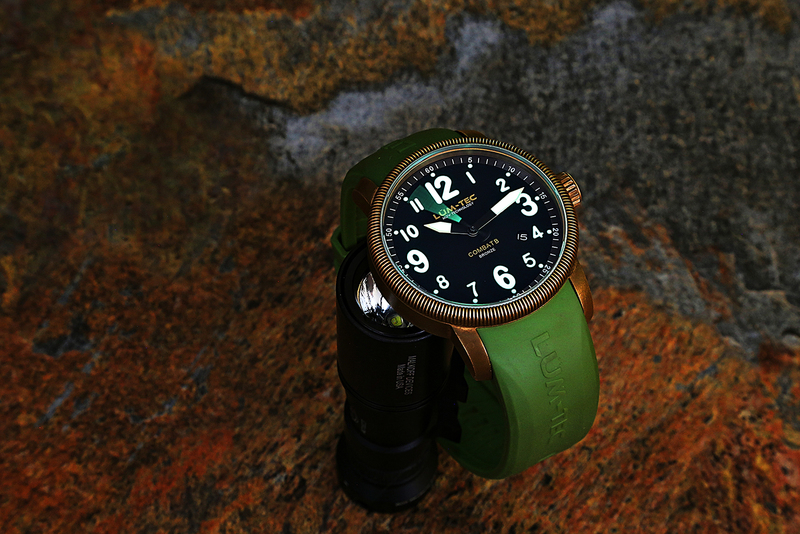 Of course Lum-Tec is known for its proprietary MDV (Maximum Darkness Visibility) lume mixture. This watch does not disappoint on that front and it literally shines all night long even after a short wear time during the sunlight. As I stated in my recent review of the Combat B28, one of the biggest draws to the Lum-Tec brand is the night time glow of their lume. If you have never seen it in person, it really puts other more expensive brands to shame. The movement, though Japanese, ran like a top. 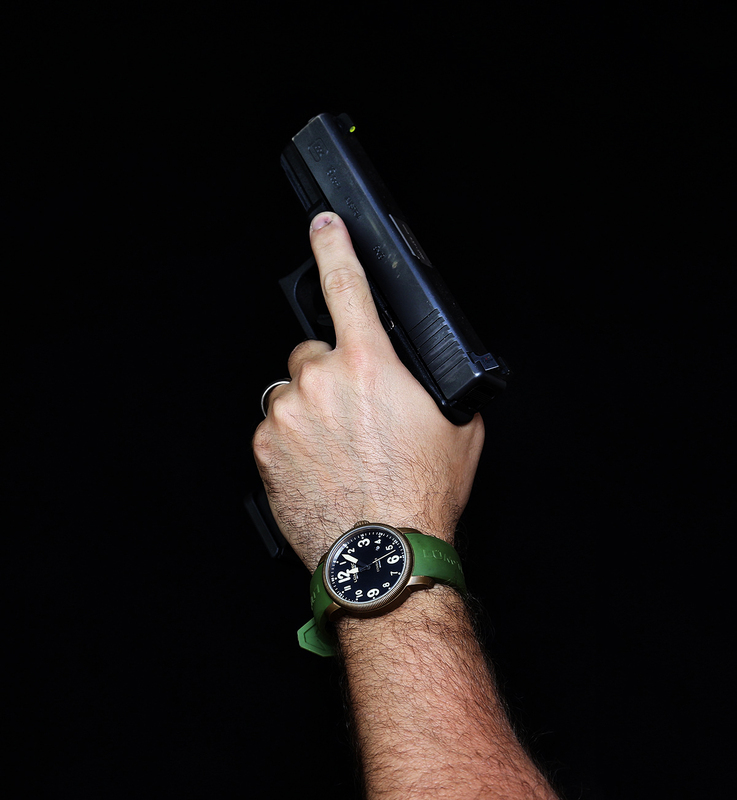 There are numerous complaints of various other manufacturers which have issues, and even disclaimers at times, to not wear their watches while shooting or doing anything which has "impact" or "shock." Well, I can tell you without hesitation that this little movement is a powerhouse. It winds easy, keeps excellent time and and just does it's job. Zero complaints on function. My reason for purchasing the Combat B18 was to see how the patina progressed and how unique it became. As such I was very happy with the overall result of the years I put into wearing the Combat B18. The only possible complaint I can have about the watch is that the movement rotor was not decorated. 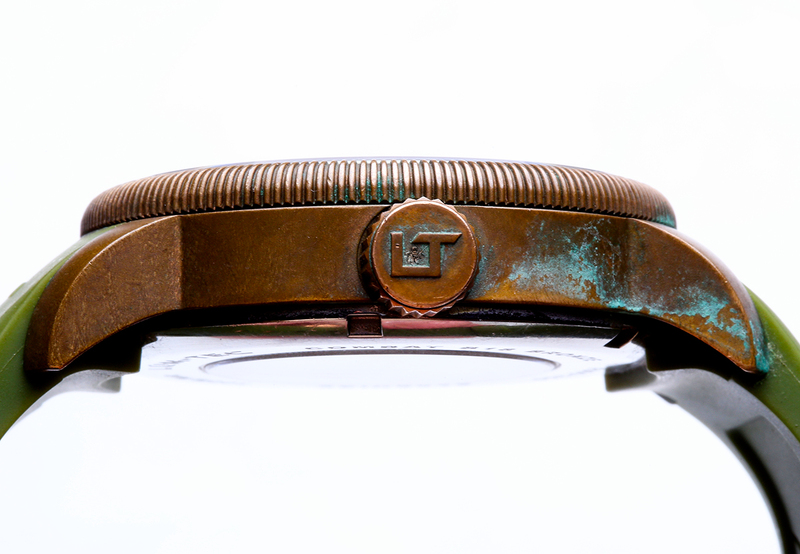 I would like to see an LT logo engraving or something of that nature into the rotor but I completely understand that in order to keep the price point to a reasonable nature little luxuries like that may require to be sacrificed. I lived without it, happily. 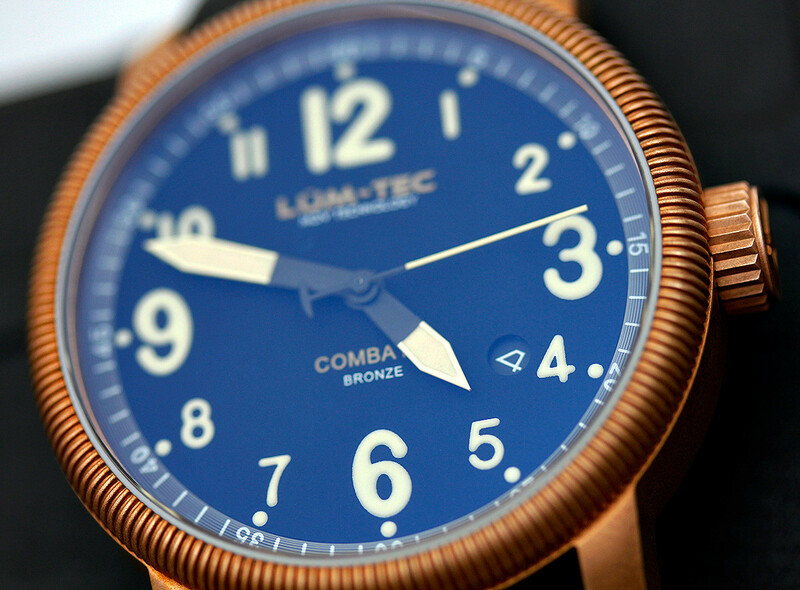 Currently there are several models of Lum-Tec's Combat B bronze watches, the B18, which you see here reviewed, having the black dial. The B19 which has a dark green dial and the B31 which has a brown dial. All of which can be found on their website. Also remember that along with the watch you get a bronze buckle of the material. It will patina slower (as mine did) but will match the case in color so there is no weird color contrast against a stainless steel buckle as other companies provide. If you are on the fence, you should jump head first. This is a watch which is always rarely sold on the grey market because people who own them keep them for a long time.